Triple the fun at your event with our 16' Triple Lane Water Slide! We just added our 1st Triple Lane Slide to our inflatable slide options. 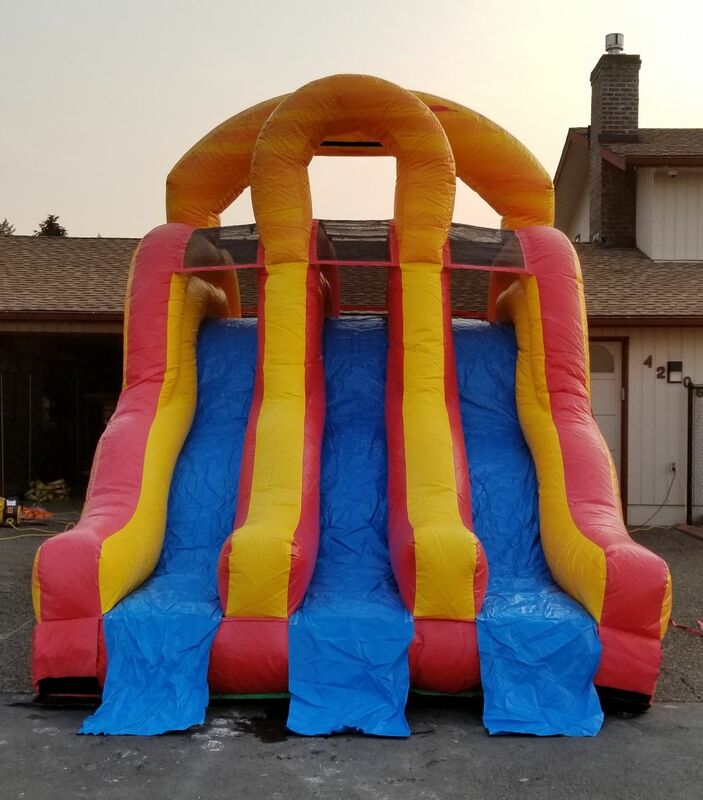 This unit can be rented as a Water Slide or as a Dry Slide. This brightly colored Red and Yellow inflatable slide will bring smiles to all your guests. This one of a kind triple lane slide combines the challenge of racing your friends with the thrill of a waterslide. Reduce the heat and have fun racing down the triple lanes into the pool at the bottom of the slide. 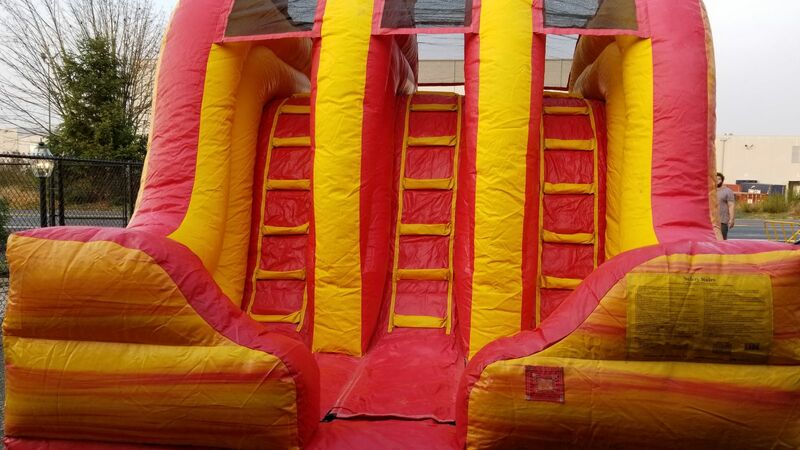 This 16' high slide is great for all ages and can be used at any type of party or event.